As we're heading to Florida this week to close up Patti's mom's house, this sketch stood out to me. It is, indeed, the land of big, white cars and cataract sunglasses. We'll all be there soon enough. In going through some past sketchbooks I've decided to blog a few particularly good pages. Hope you enjoy them... This one reflects my love for cigars. Or, at least, doing something with the bands afterwards. 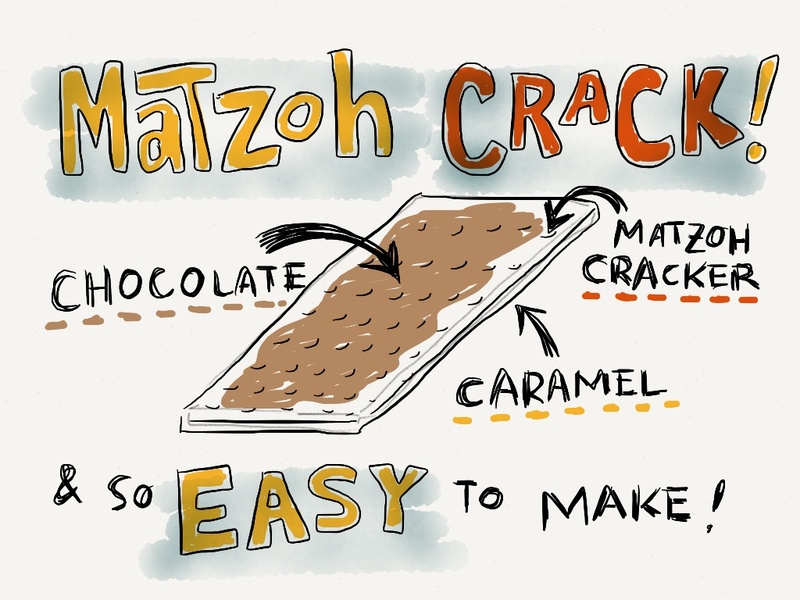 If you're looking for that perfect Passover dessert, look no further. Here it is! 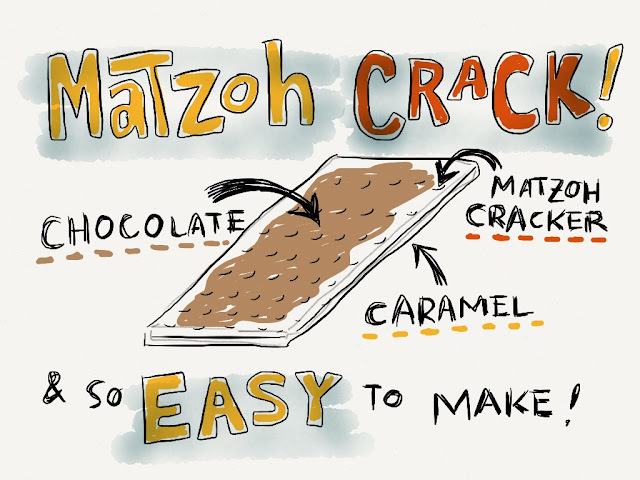 Matzoh CRACK! 'Cause you can't stop eating it. It's simple to make and will satisfy your sweet tooth, without a leavening agent. Make some and enjoy! Thank you to Patti Argoff for this recipe. Place the matzo in one layer on a greased baking sheet, breaking it when necessary to fill the pan completely. Set aside. In the spirit of Easter... chicks! 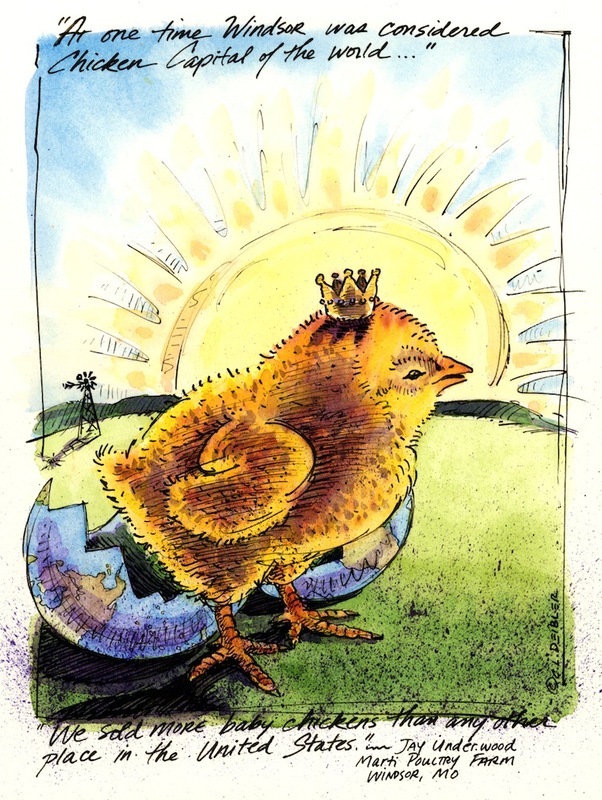 If you're considering having chicks this spring, consider rare breeds. They need your support. Reliable purveyors of rare breed chicks are the Marti Poultry Farm in Windsor, Missouri, and the Murray McMurray Hatchery. Don't be afraid to have backyard chickens!